More rumors about Apple's 2017 iPhone lineup have emerged, with Bloomberg on Tuesday corroborating earlier rumors that Apple is readying three new iPhones for release this fall: upgraded versions of the iPhone 7 and iPhone 7 Plus, along with a "new top-of-the-line handset with an overhauled look." Bloomberg's unnamed sources say Apple is testing some new features for the flagship model: a curved glass screen that "covers almost the entire front of the device," plus "stainless steel materials and more advanced cameras." The screen will reportedly be a bit larger than the one found on the iPhone 7 Plus, but that handset itself will be around the size of the iPhone 7. Bloomberg's report also backs up rumors that the Home button on the premium model may be integrated into the screen. That description sounds a lot like another handset that just made its debut: the Samsung Galaxy S8, which packs a large curved screen into a small form factor and features a virtual home button. Bloomberg also says the premium iPhone will have an OLED display, differentiating it from all other iPhones, which sport LCD screens. But don't expect the screen's curve to be too dramatic. "Apple suppliers have so far struggled to reliably produce heavily curved glass in mass quantities, so the company is more likely to ship the version with more subdued curves," Bloomberg reports. 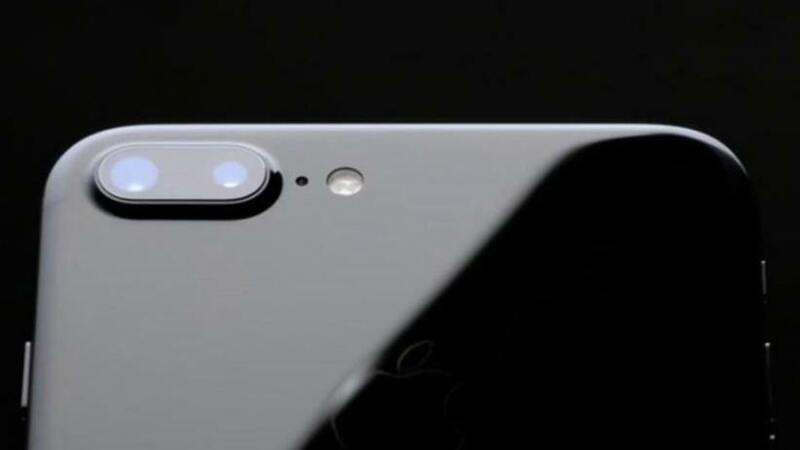 The site also says the premium model will have a dual-camera system like the iPhone 7 Plus, but positioned vertically instead of horizontally. This change will "result in improved photos," Bloomberg reports. Apple is also reportedly testing dual lenses for the front-facing camera. On the down side, in keeping with previous rumblings, Bloomberg notes that Apple fans may be waiting a little longer than usual for the flagship model, thanks to "supply constraints," perhaps "one or two months after the typical fall introduction." Meanwhile, other rumors about the so-called iPhone 8 say it will offer laser-powered facial recognition and USB-C instead of Apple's proprietary Lightning port.